The following are the terms and conditions applicable to access to and/or use of Kent Showground website (the ‘Site’). By gaining access to and/or using the Site, you agree to comply with these terms and conditions and all applicable laws, rules and regulations. We reserve the right to change these terms and conditions from time to time by posting the new version on the Site, so please check this page of the Site regularly. Kent Showground is owned and run by Kent County Agricultural Society (KCAS). The information and materials on the Site (‘Information’) are provided for the personal use of customers or potential customers of Kent Showground (‘Customers’ or ‘you’) to review information on events, promotions, and to buy tickets or packages. Copy, download, publish or distribute any Information for any purpose not authorised by these terms and conditions. Modify any of the Information. Use any Information for any public display, performance, sale or rental. Transfer, remove, modify or alter any copyright, trade mark or other proprietary notice. Transfer any Information to any other person. Link your web-site to the Site, other than to its home page (without prior agreement). While Kent Showground believes that the site is entirely secure, Kent Showground excludes to the fullest extent permitted by applicable law all liability for any loss, expenses or damages whatsoever (including, without limitation, damages for loss of profits, business interruption, loss of additional revenue or other consequential or economic losses) arising out of the use or inability to use the Site or the Information. Kent Showground is not responsible for any acts or omissions of any Customers, other users of the Site, advertisers on the Site or other third parties connected with the Site nor for the events, services or products of any event organiser, venue, promoter, producer or other third party connected with any event or product sold on the Site. The Site is controlled and operated by Kent Showground from its offices in England. Kent Showground does not represent or warrant that the Information is appropriate or available for use in other jurisdictions and access to the Information from jurisdictions where its contents are illegal is prohibited. You may only use this Site for lawful purposes and in accordance with these terms and conditions. When you book with us we will ask for your name, address, credit card details and telephone number and e-mail address. We may also ask you where you saw promotional material referring to the event that you are booking. This allows us to fulfil your ticket request and track your order and contact you regarding your booking. No personal information provided by you will be used for marketing purposes unless you agree to the data protection statement when completing a booking. The information is provided on an ‘as is’ and ‘as available’ basis. All express or implied warranties of any kind (including warranties of merchantability, fitness for purpose and non-infringement of the intellectual property of a third party) are excluded to the fullest extent permitted by applicable law.  Kent County Agricultural Society gives no representation or assurance of uninterrupted or neither error free service nor that the Site will provide any specific search results. Kent County Agricultural Society will regularly change the information from time to time without notice but makes no commitment to keep the information up-to-date nor is any warranty given by Kent County Agricultural Society as to the currency, accuracy or completeness of the Information. Please note that your ticket purchase is non-transferable and non-refundable. We will not be responsible for any tickets that are lost or stolen. Any person found making unlawful resale (or attempted unlawful resale) of a ticket will be subject to grounds for seizure or cancellation of that ticket without refund or other compensation. Tickets are issued subject to these rules and regulations. We regret tickets cannot be exchanged or refunded after purchase. Please check your booking before placing the order and please check your tickets on receipt, as mistakes cannot always be rectified. It is the responsibility of the ticket holder to ascertain the date and time of any rearranged event. a venue on account of declining to be searched, abusive, threatening, drunken or other antisocial behaviour (including smoking in no smoking areas), carrying offensive weapons or illegal substances, or making unauthorised audio, video or photographic recordings. Unless notification of your order is received from the Kent County Agricultural Society no booking is confirmed. Tickets are sold subject to the organiser’s right to alter or vary the programme including but not limited to changes to the advertised programme due to events or circumstances beyond its control without being obliged to refund monies or exchange tickets. Kent County Agricultural Society cannot be held responsible for any errors or omissions on the website. If this ticket is re-sold or transferred for profit or commercial gain by anyone other than the Promoter, Venue Management, Kent County Agricultural Society or one of their authorised subagents, it will become voidable and the holder may be refused entry to or ejected from the venue. The Promoter, Venue Management and Kent County Agricultural Society accept no responsibility for any personal property. The acceptance of this order is not a guarantee of availability. If we are unable to fulfil your request you will be notified at the earliest possible opportunity and an alternative may be offered. Kent County Agricultural Society will not be responsible for any delay in the delivery of tickets due to circumstances beyond its control. It is the responsibility of the ticket holder to contact Kent County Agricultural Society in the event of non-delivery. Kent County Agricultural Society will not be responsible for data communications failure or malfunction. All tickets may carry a booking fee as determined by Kent County Agricultural Society. By placing an order on this site you accept all booking fees charged. Kent County Agricultural Society agreement is to supply tickets, subject to availability. In the event of any errors, which are the direct result of actions of Kent County Agricultural Society management or staff, we are only responsible for the refund of the cost of the ticket. Our agreement does not cover the cost of travel or accommodation. Kent County Agricultural Society cannot take responsibility for travel difficulties such as strikes or inclement weather, or any other circumstances beyond our control. There is a re-admission policy in which persons must make gate staff aware that they wish to re-enter the site before leaving the site. A coloured wristband will be issued by gate staff. This must be worn at all times to gain re-entry. Any wristbands not worn will not be subject to the re-entry procedure. Re-entry is for the day the ticket is valid only. Three day tickets must be retained to allow entry on multiple days. All tickets ordered online will be emailed to the recipient. Each Ticket has a unique barcode number which can be used once for entry to the show any one day from Friday 7 July 2017 to Sunday 9 July 2017. Your booking reference for the entire order is also printed on the ticket in case of query. Please check that you have enough ink in your printer to print each individual ticket in the email with the barcode clearly displayed. Emailed entry tickets can be printed in black and white or colour. It is the responsibility of the ticket purchaser to print the tickets. Kent County Agricultural Society will not be sending any tickets to those who order tickets online. For further enquiries please contact the Show Office on 01622 630975.